This project was done for a local client who brews beer in small batches. He was interested in creating a branding system with a logo and packaging, with the potential for expansion throughout multiple recipes in the future. 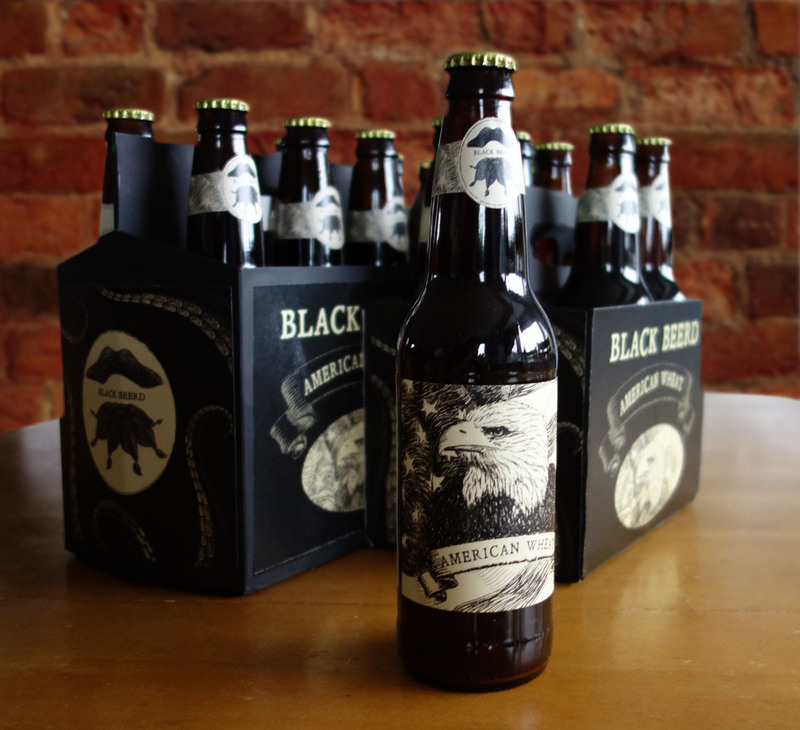 The original recipe, which is pictured in the packaging above, is Black Beer'd's signature American Wheat Ale. For the logo, the client wanted a gritty, pirate-like feel so I worked with eroded text as a logotype that functions both as a standalone and also accompanies a beard and pirate's hat. 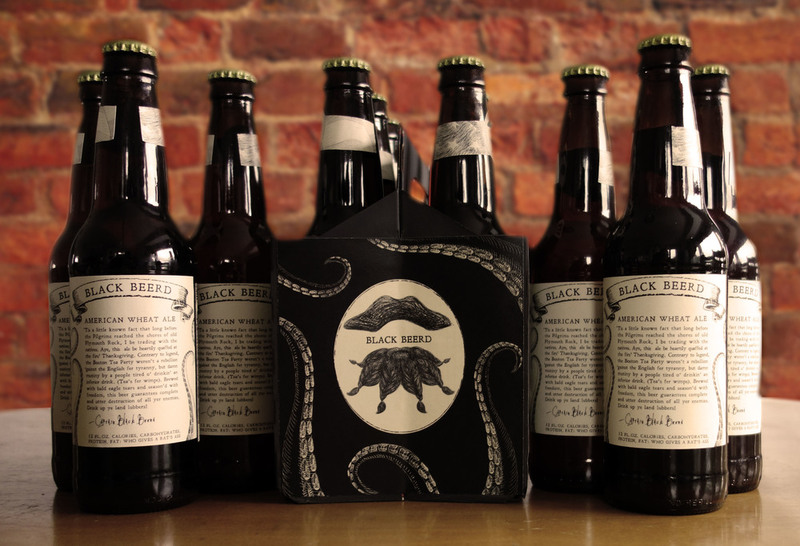 The tentacles on the back label and the boxes reference the legendary Kraken of the deepest parts of the ocean, popular in pirate lore. For this particular recipe, the client wanted to go to the extremes of patriotic symbolism with the Bald Eagle and American flag, featured on the front label and main side of the carrying boxes. This would be the interchangeable section for future recipes. The overall style is sketchy, rough, and yellowed, to reference the brand's rustic pirate feel.